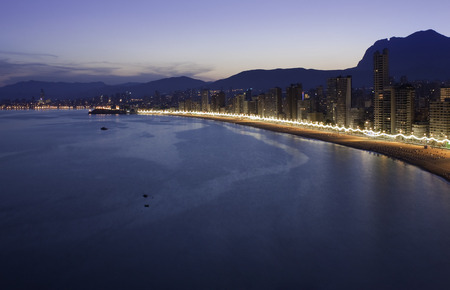 Benidorm beaches framed by the promenade filled with bars, restaurants and shops, are one of its main attractions. Soft golden sand as far as the eye can see, and warm, clear, turquoise water, ideal for splashing around, and all kinds of water sports, are a beach lover's delight. With accommodation, that caters for all budgets and restaurants satisfying all palates; with a night life that is second to none; it is hardly surprising that young singles flock here in their millions. Benidorm has a wide range of tourist attractions including theme parks, a water park, mini golf and go-karts. Terra Mitica is an exciting theme park and Aqualandia claims to be the largest water park in Europe. Affordable Family Holidays: - Teenagers will Love! Your Top 30 Things to Do in Benidorm - We asked you to recommend your favourite spots in Benidorm. Here's what you said. Live Music in Benidorm: Where Should You Go? - Love music? Love Benidorm? Then you'll love this post!.